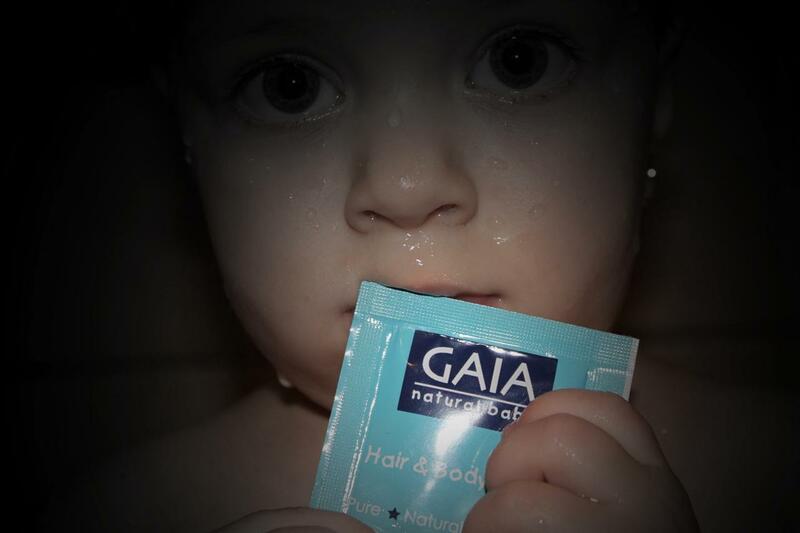 Tested out my sample of GAIA Skin Naturals, as displayed by my daughter! I found it very calming, and it had a beautiful smell of essential oils (lavender) which I loved. I only wish I could have checked its ranking on “Environmental Working Group-Skin Deep” site. It is down for maintenance at the moment… oh well! Regardless, we liked the way it gently cleaned her, and the smell! I say thumbs up!